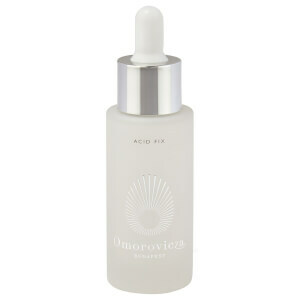 Treat your complexion to Omorovicza's Magic Moisture Mist; an ultra-fine, two-phase formula enriched with antioxidants and nourishing essential oils. Infused with Rosehip, Avocado and Macadamia Nut Oils, the luxurious mist delivers optimum levels of moisture and hydration, whilst defending against pollution and environmental aggressors for long-lasting comfort. Ideal for using throughout the day to rejuvenate tired skin and replenish moisture, you can expect a plumped, revitalised complexion without greasy residue. The brand's patented Healing Concentrate™ mineral delivery system promotes firmer, more supple and younger-looking skin.